Backup All Systems & Applications! Backup individual files, databases, applications, full systems or even entire VM hosts with individual VMs. Choose our partner Award-Winning Datacenters, or Bring Your Own Storage from AWS, Azure, GCP or even On-Site Datacenters. 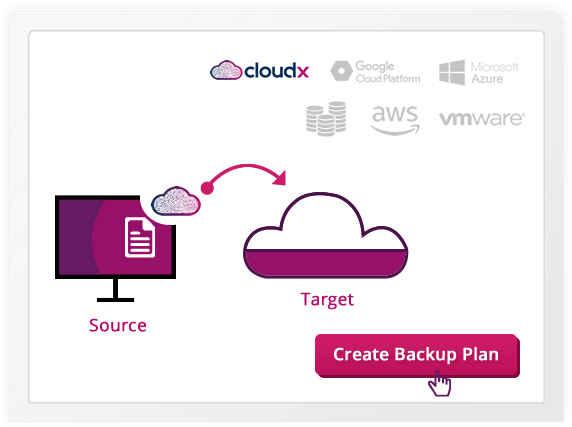 Intelligent Backup algorithms detect encryption changes in files and prevent existing backups from being overwritten unless required. Our Award Winning Partner Datacenters provide 11x 9s of data durability (same as AWS) & immutable storage so you can backup in peace. 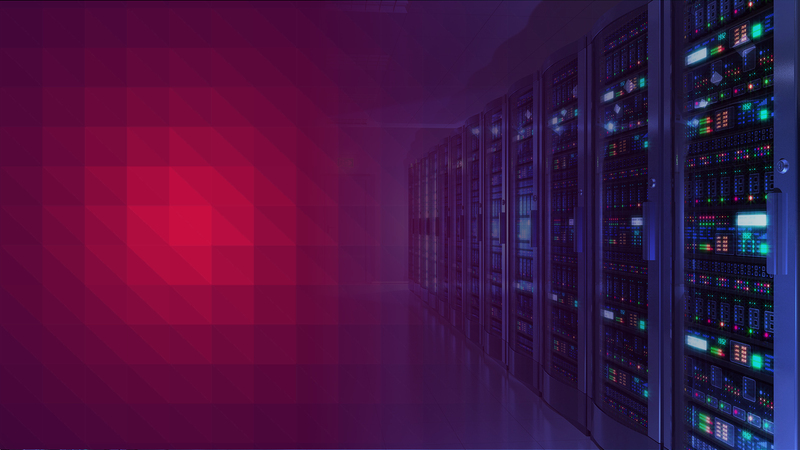 Don’t pay a penny to restore your data & save upto 80% compared to AWS, Azure & GCP on TCO. Restore your backed up machines or VMs directly as AWS EC2 instances or Azure Virtual Machines. With simple monthly payments, convert your CAPEX to OPEX. Oh! and you don’t need to invest in costly storage infrastructure! Our expert support staff is available over chat, email or phone in case you need anything. 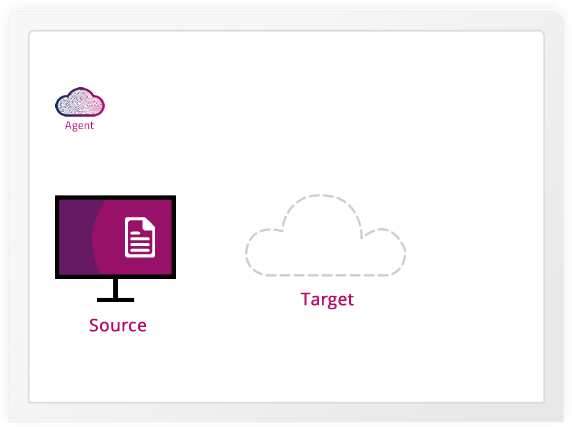 Download & install the required agent for your operating system or application. 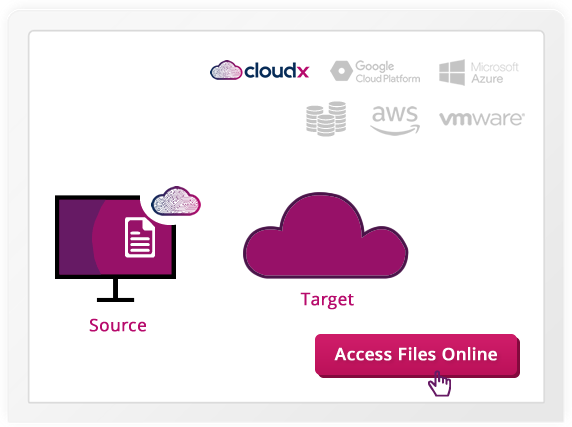 Select your storage - whether CloudX, AWS, Azure, GCP, VMware, OpenStack or your local SAN/NAS/Hard Disks. Select the files, machines, DBs, or VMs to be backed up, and how often they should be backed up. Access your data from the online console in a secure way so that your data is always with you. 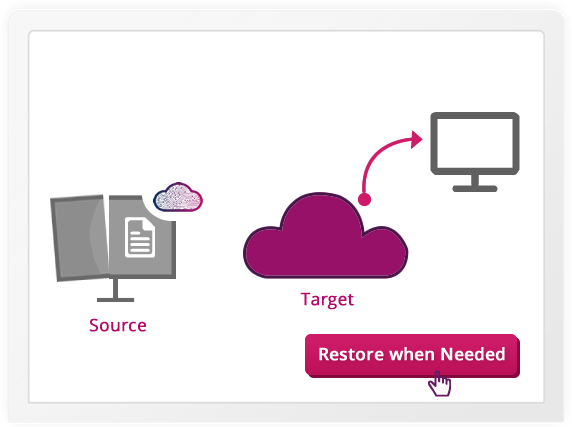 When needed, specify the target on which backed up data can be restored, whether on the same machine or a different machine. 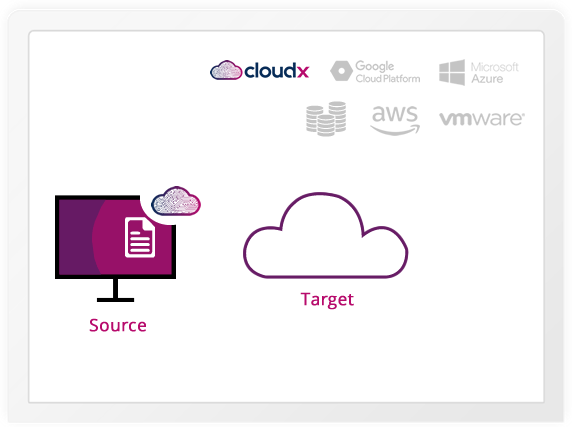 LEARN MORE ABOUT WHAT CLOUDX CAN DO FOR YOU! Copyright © 2018 Systrix IT Solution LLC. CloudX ME is a part of Systrix IT Solution LLC, Abu Dhabi, UAE. All Rights Reserved.